Transcend expands its line-up of industrial-grade flash storage devices with the introduction of the Transcend SSD340 Solid State Drive. The industrial-grade SSD430 offers better shock and vibration resistance along with the lightweight and compact design. The improved reliability and durability makes the SSD340 ideal for portable computers such as notebooks and ultrabook that’s always on the journey. 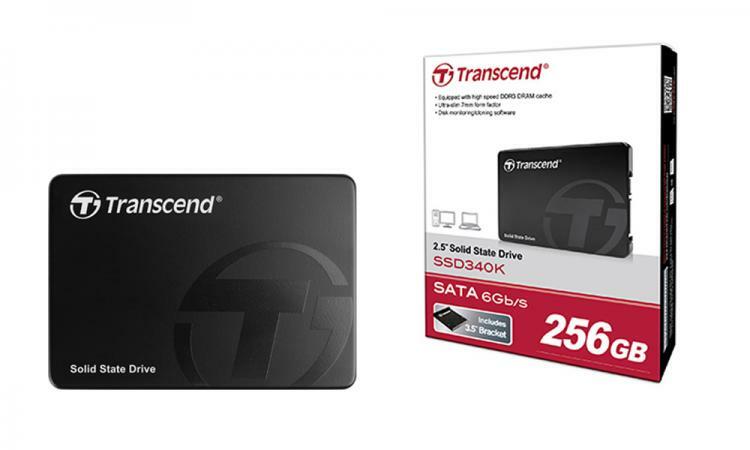 The Transcend SSD340 meets SATA III 6Gb/s specifications and delivers speedy transfer speeds of up to 560MB/s read and 490MB/s write while random transfer efficiency reaches 310MB/s read and 350MB/s write. The SSD340 is also packed with the essential security features to data integrity. Transcend uses top-quality industrial-grade 3D MLC NAND flash for the SSD340 to give it better shock and vibration resistance while maintaining performance fit for high-end SSDs. The 3D MLC NAND also offer low power consumption providing longer battery life for portable computers. The SSD340 is ideal for long-term and stable operations such as applications for automated machinery, industrial computer systems and fanless industrial computer systems. The SSD340 is packed with a DDR3 DRAM cache along with a SLC cache to improve read and write speeds. To secure data integrity, the SSD340 is packed with an advanced LDPC ECC. Other features that are designed to boost the SSD’s reliability and endurance include Power Shield, Device Sleep mode, Global Wear Leveling and Intelligent Block Management. Every Transcend SSD gets the proprietary SSD Scope Pro utility that monitors the industrial-grade SSD’s health which improves the overall efficiency and reliability of the SSD. It comes with all the essential tools such as secure erase, diagnostic scan, S.M.A.R.T. status monitoring, system clone and remote monitoring functions among others. Transcend gives the industrial-grade SSD340 a limited three-year warranty and is offered in 120GB and 240GB capacities. There are also two models available, one in plastic case and one in aluminium case. Visit the Transcend website for more information.